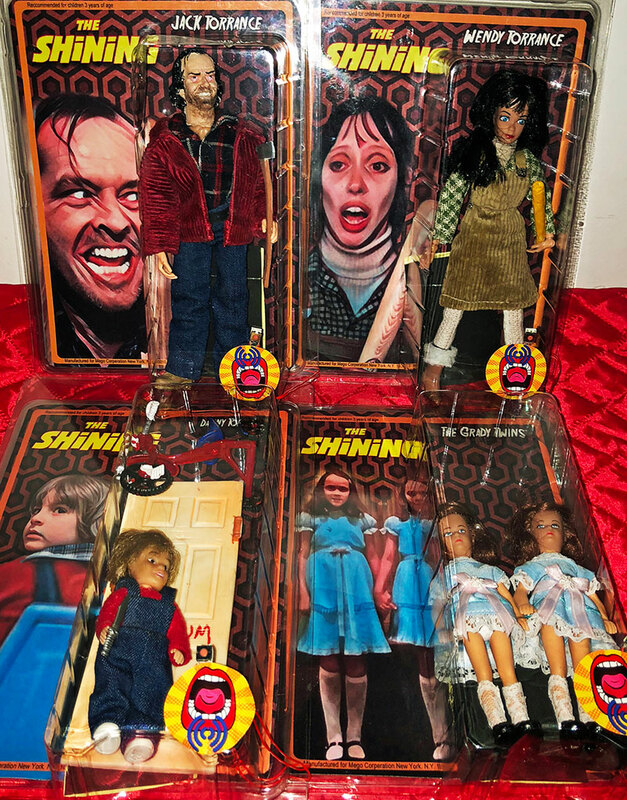 Just in time for your Holiday shopping, Screaming Figures introduces new horror action figures inspired by your favorite final girls and “The Shining”. If you were ever curious about what to get me for Christmas for this year, I’ve got you covered! I just discovered the must-have Holiday Horror essential for every respectable genre junkie in your life. 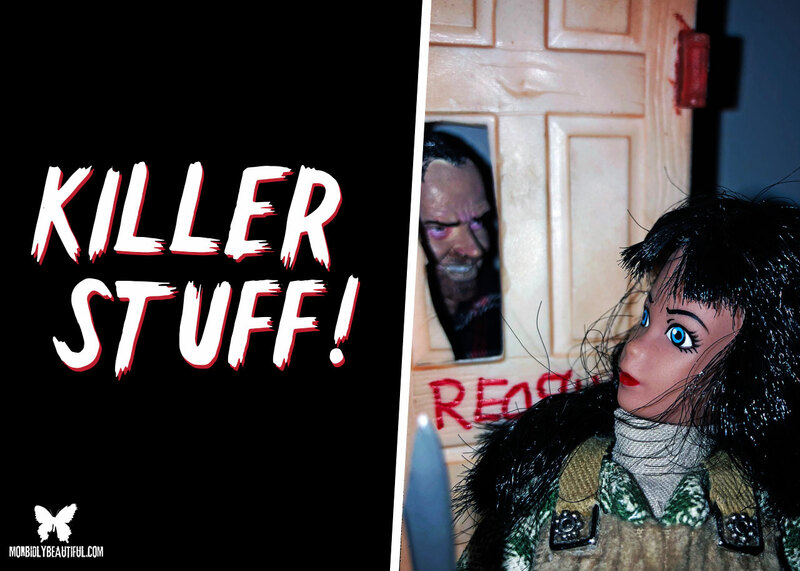 SCREAMING FIGURES, the brainchild of Horror director Todd Nunes (ALL THROUGH THE HOUSE) and his seamstress mother Sharon Nunes, have just released two new series of 8-inch custom-made horror movie collectibles. 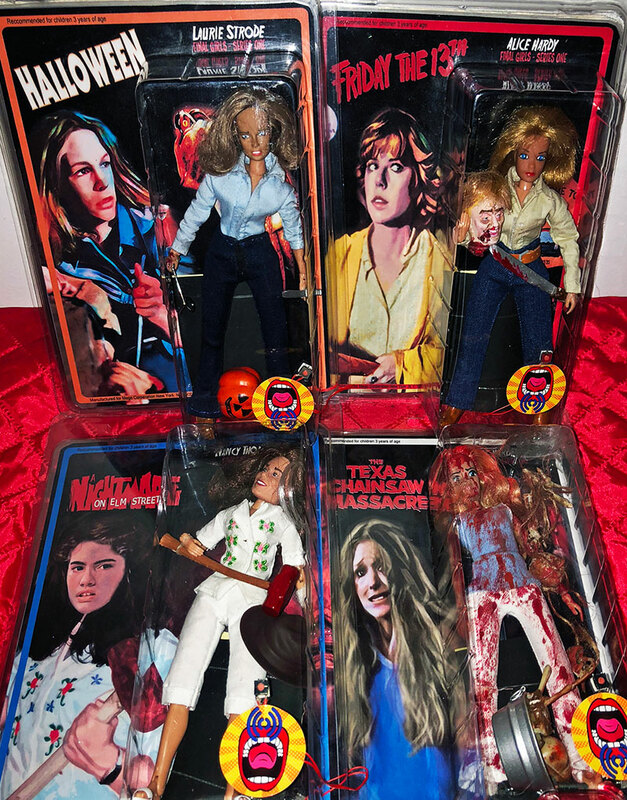 These feature the likenesses of four wildly popular Final Girls and the cast of THE SHINING. SCREAMING FIGURES is a collaboration between Todd Nunes (ALL THROUGH THE HOUSE and the upcoming DEATH WARD 13) and his mother, Sharon Nunes. Sharon Nunes is a mother to five children and the love of horror movies runs in her family, including director Todd Nunes and Scream Queen Actress Ashley Mary Nunes (ALL THROUGH THE HOUSE, ROBOT COMBAT LEAGUE). 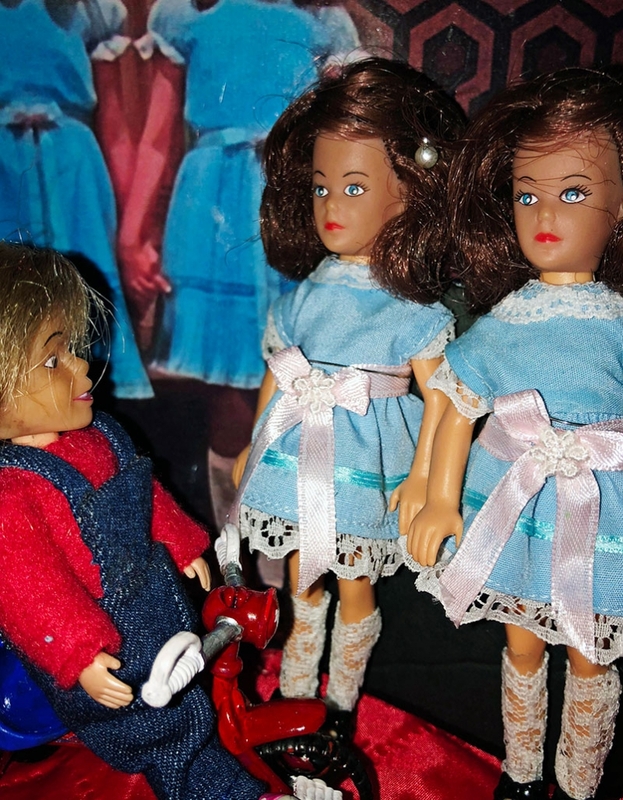 Sharon puts her talents to work by hand-sewing all of the SCREAMING FIGURES outfits and meticulously matching materials. SCREAMING FIGURES is a limited edition passion project from the Nunes’, so get ‘em while they last. 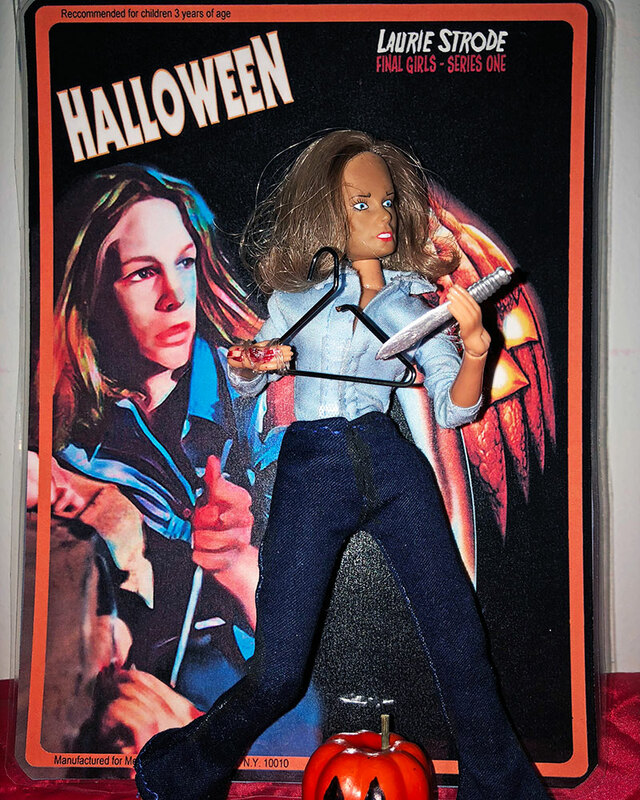 All SCREAMING FIGURES MEGO-style 8-inch action figures wear hand-tailored cloth outfits and custom-made murder weapons and accessories, and each comes with clamshell packaging and certificates of authenticity. The packaging also includes an iconic recording of a Final Girl scream or catchphrase from THE SHINING to give you chills. Action figures range from $69.99 to $119 USD. 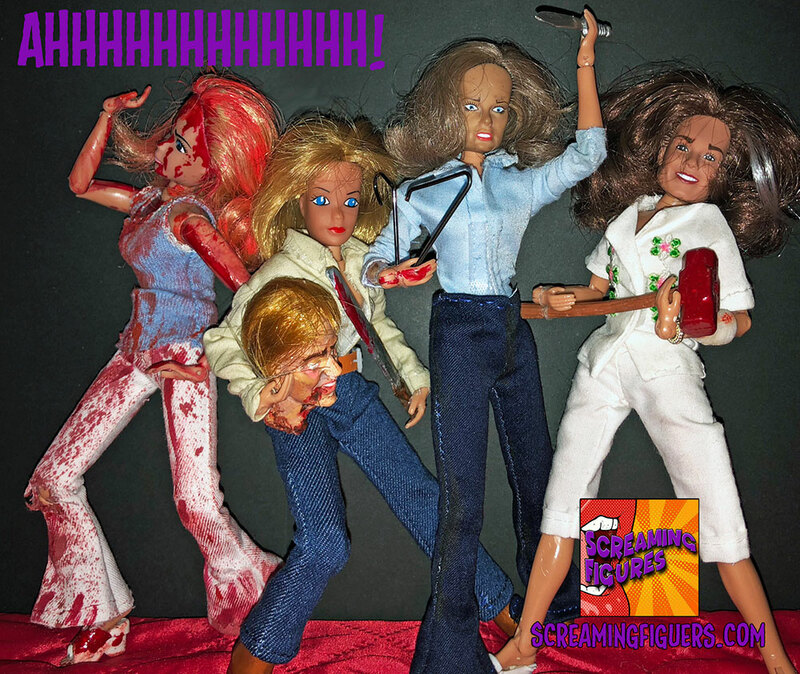 Purchase these custom made action figures at www.screamingfigures.com and watch Facebook videos of the collections: https://www.facebook.com/Screaminfigures.